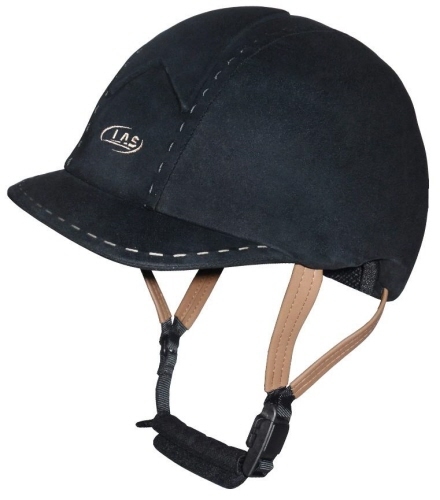 Naturally, LAS riding helmets meet every rigorous SEI and ASTM standard, which is why LAS Helmets is the official title sponsor of the United States Pony Club. In addition to helmets we carry LAS eye-wear, made of shatter resistant high density plastic with interchangeable Lens. 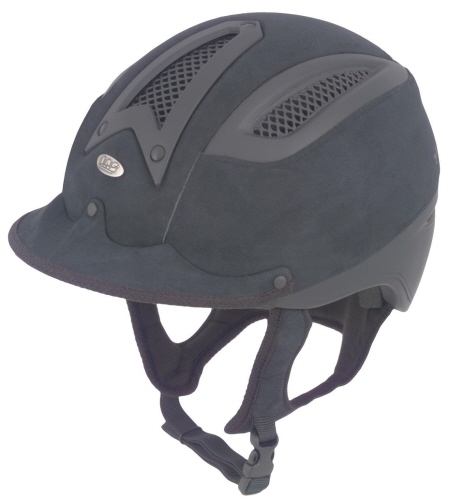 LAS Helmets has remained at the forefront of comfort, quality, safety and design and now HorseSmart International Tack & Apparel is proud to offer LAS Helmets to Canadian riders! has the protective gear to help keep you safe and looking sharp. Made using a technology known as co-molding system where shell-polystyrene-meshes-straps are mixed together and by direct injection, only one shell comes out from this molding, this ensuring lightness and resistance. Mat finishing, varnished 'soft touch' covered with 100% nubuck and reptile. 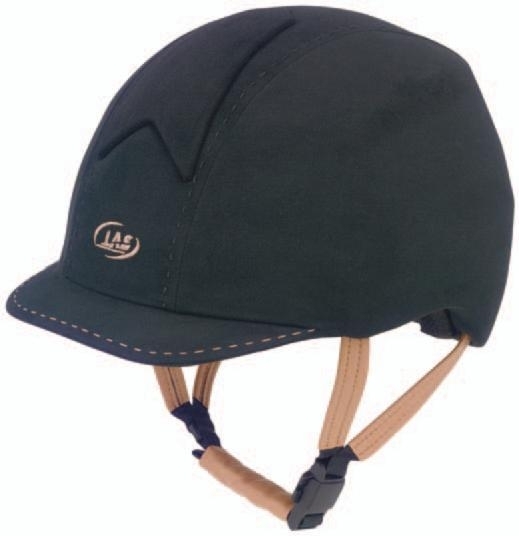 Classic Hunter XT with Beige Leather Harness Helmet.